With the disappearance of the Stephen Crane birthplace site at Mulberry Place between McCarter Highway and Mulberry Street, we are going to take a brief departure from the series already begun on the Burrs, Frelinghuysens and Clarks. Hilt's research shows that the first Cranes, Jasper and his wife, Alice, came from London to Connecticut in 1637 or 1638, settling in the New Haven Colony. He was a surveyor and trader as well a founder of the town of Branford. Later he became a magistrate of the colony and became a friend of Robert Treat, who founded Newark in 1666. In 1667, Jasper and Alice moved to Newark to help establish the new town. When Treat moved back to Connecticut, he gave his house to his daughter, Mary, and her husband, Azariah Crane. According to Hilt, Azariah Crane also is remembered for his donation of a silver Communion bowl to Old First Church. The Cranes' descendants went on to found Cranetown, today’s Montclair. An earlier Stephen Crane, perhaps the son of Jasper, lived in Elizabethtown and was a direct ancestor of the famous Newark writer. He was prominent in that town's early history as a member of the original Elizabethtown Associates, who had taken an oath of allegiance to King Charles II in 1665. His grandson, another Stephen, was a figure in the Revolutionary War. In an attempt to settle border disputes, the first Stephen Crane traveled to England, returning home when the War for American Independence erupted to serve in the Continental Congress. Later he became mayor of Elizabeth. 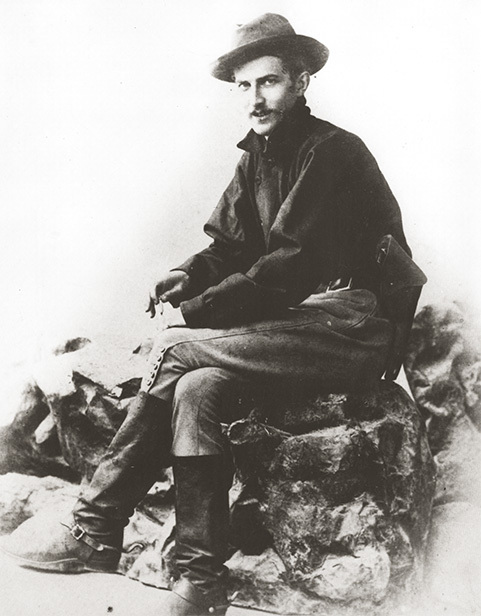 Stephen Crane, the author, is his namesake. The Elizabethtown Stephen Crane was the great-grandfather of Jonathan Townley Crane, the author's father. H.G. Wells, Crane's friend and associate, described him as one of America's greatest writers, crediting him with introducing realism into American literature. A novelist, poet and short-story writer, Crane could indeed be called Newark's best-loved writer. 'The Red Badge of Courage, ' his best-known work, is about the experiences of a young soldier in the American Civil War. Contemporaries claimed that they had fought beside him in the war, though in reality, he was not even born until 1871, six years after the war ended. Crane's fortes—imagery, symbolism and paradox—were reflected in other works, including 'The Open Boat and Other Tales' (1898), 'The Monster and Other Stories' (1899), 'The Black Rider' (1895) and 'War is Kind' (1899). Certainly, his life as a newspaper reporter, New York City bohemian and war correspondent in Cuba and Greece all contributed to his literary reputation. In addition to 'The Blue Hotel' and 'The Yellow Sky,' much of his fame rests on 'The Red Badge of Courage.' The 1995 national literary conference at the Newark Public Library explored and celebrated this novel on its centennial. Newarkers have made several attempts to remember Crane's accomplishments and record them for future generations. In 1921, the Newark Schoolmen's Club prepared a bronze plaque commemorating the author's 50th birthday, accompanying its unveiling with a program of celebration. Harrison E. Webb, president of the club, and Thomas A. Kenney, president of the Newark Board of Education, took part. Schoolchildren from the city's upper grades and all high school students were given a half-day to attend the events, and the Barringer High School Orchestra played at the unveiling at the Burnet Street School. At 3 o'clock, the plaque was moved to the library at 5 Washington St. for a second unveiling. That evening, a third program was conducted at the Second Presbyterian Church, with speeches by Hamlin Garland, Donald C. Seitz and former Rep. Edward W. Townsend, all former Crane friends and associates. A four-page leaflet was prepared at the library describing the memorial. The plaque remained at the library until a few years ago, when it disappeared in a rash of thefts. A replacement is planned. In 1995, with the coming of a major Crane conference to Newark, a group of interested residents looked into the possibility of cleaning up and maybe even restoring the site. Debris was removed, weeds were pulled and a plan was concocted to investigate creating a mini-park with permission of the former owners. The Newark Preservation and Landmarks Committee prepared a plaque for the long-abandoned site. The former owners seemed agreeable to the project. Yet a recent visit to the site reveals that the monument has disappeared without a trace. Not a single brick remains to mark the site, and nobody is talking about what happened to the terra cotta bust, the wall made of bricks from the Crane home and the tiles bearing the Crane inscriptions. Granted, the new owners have every right to deal with their property as they see fit, but isn't it a shame that a city street, a frail historical monument and all physical traces of a famous son can vanish overnight? Maybe some day the terra cotta bust of Crane will appear in a New York City architectural junk emporium and somebody might be willing to bring Crane back to Newark. Perhaps the most successful efforts in Newark to remember Crane have been intellectual, not artistic or architectural. In the 1950s, Carol Decker completed a master's thesis at Columbia University by arranging the library's Stephen Crane Collection, compiled by Max Hertzberg and the Stephen Crane Association, as part of her assignment. On the 100th anniversary of Crane's birth, the scholarly conference took place at the library. Participants read from Crane's papers and the city hosted the world premier of an opera based on Crane's 'The Yellow Sky.' Joint meetings were held with the New Jersey Historical Society and Kean College, and a tour of Crane's grave in Evergreen Cemetery was part of the activities. A second national Crane conference took place in 1995, presided over by Hilt of the New Jersey Institute of Technology, who also co-curated an exhibition commemorating the 100th anniversary of the writing of 'The Red Badge of Courage.' We all win a few and lose a few, but wouldn't it be just great if somebody would come along and try to perpetuate the Crane legacy by endowing a chair of American literature at a Newark college or university, purchase a rare book or manuscript for the library, find an important collectible for the historical society, or underwrite a gala music event at the Performing Arts Center in honor of Stephen Crane, America's best-known 19th-century realistic novelist?